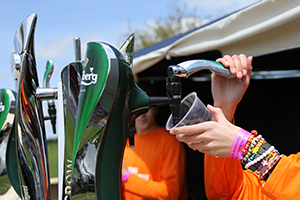 In addition to event management, $10 Chimp can provide a full mobile bar service for any size event throughout Suffolk, Essex and Cambridgeshire. We can help from just a small gathering to a large scale event, from a few to a few thousand. 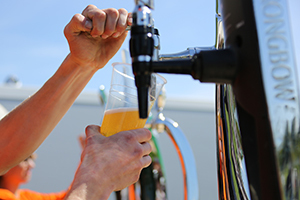 We have over 18 years of experience in the hospitality sector, providing bar services to hundreds for weddings and parties to thousands at huge events like LeeStock Music Festival! Depending upon the number of guests and your exact requirments, our bars usually carry no fixed charges and can accomodate any request for specific draft beers, real ales and spirits. Whether you're looking for a pay as you go bar, a free/prepaid bar or a token system, we will adapt to suit your needs. We hold all the necessary licences to provide a full bar service and will handle any other licences required. We can look after glasses, bar staff, optics and pretty much everything you need for your perfect bar. So, if you’re planning an event, drop us a line or give us a call on 07765362903 and we will provide you with a free quote.